Medical cases turn to murder cases in this hit Australian series starring Craig McLachlan as Dr. Lucian Blake, a quiet, thoughtful man with a painful past. Haunted by searing memories of World War II, and by the heartbreaking loss of his secret Chinese wife and daughter, Dr. Blake returns to his Australian hometown in 1959 to continue his late father's practice and serve as the town's chief medical officer. A body found in the lake turns out to be a girl from the local reform school. When a member of staff is found dead at the hospital, Lawson suspects Ron Jackson. A driver involved in a fatal car crash is found to have been killed by a venomous snake. Blake is called to attend a delirious prisoner on death row. Doctor Lucien Blake finds himself on the judging panel for the Begonia Festival. 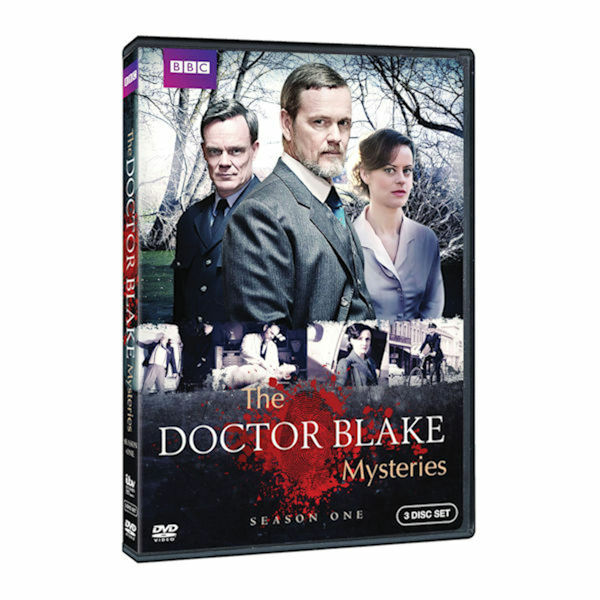 Doctor Blake is called to Patrick Tyneman's shoe factory where a migrant worker has died. A psychiatric nurse is found murdered in a bathroom at the asylum. When a TV game show contenstant is electrocuted, Blake suspects foul play. A gold prospector is found dead down his mineshaft. Ballarat Hospital's only female doctor is found hanged at the hospital.